Is drinking soda threatening to ruin your diet? Maybe you just don't have enough options available. Here is what you really should be drinking very soon. When on a diet you start to ask the question, what should I drink while dieting? Well, depending on what you want out of your diet that all depends. Whether you like it are not being on a diet is not limited to exercising regularly and eating healthy. To get on the bandwagon you are going to be drinking the right stuff for weight loss. Drinking water has the added effect of flushing out potentially harmful toxins from your body helping you detox. The more water you drink the better you can detox your body as well as promote efficient absorption of water soluble vitamins and minerals in your diet in effect boosting your metabolism. However, drinking too much water when dealing with unwanted edema water retention can make your body appear bloated especially around your legs. You should drink hard water. That is water having more mineral content. How much fluid should I drink? Although most people would agree that if you drink 1 to 2 liters of water a day, losing weight shouldn't pose as a problem. To be safe, this amount should be more like 1.5 and 2 liters of water. In order to prevent edema leg swelling caused by fluid retention getting regular exercise causing you to sweat is highly recommended. Carbonated water is water containing carbon dioxide gas (CO2). CO2 is said to help you feel fuller eating less serving as the perfect preventative measure for overeating and unannounced snacking between meals. Carbon dioxide gas found in carbonated water is said to have a positive effect on your digestive system. This helps to promote better digestion of the food you eat. Drinking carbonated water after exercise is said to help expel lactic acid from your body eliminating fatigue from exercise. In the caffeine found in coffee, there is just what your body needs to burn fat faster. That is why having a cup of coffee before exercising is said to maximize on the amount of fat you burn exercising. Caffeine is also a strong stimulant what comes with the diuretic effect of making you have to go pee more helping you flush out toxins through your body fast. Hot coffee doesn't cool your body down like cold beverages might. This gives you an advantage in your diet when it comes to burning fat more efficiently. Too much coffee can cause you to overdose on caffeine having a negative effect on your body, which is why you should be careful not to drink too much coffee. Women pregnant should hold back on drinking coffee due to the negatively affect it has on the body's ability to absorb iron. Cocoa! Isn't that supposed to be like high in calories? - As long as you are keeping to unsweetened pure cocoa, there is no need to worry over spilt calories. In fact, pure cocoa relatively speaking is not that bad in terms of calories. For people worried about the calories in their cocoa using low fat or soy milk is recommended. By adding soy milk instead of high calorie alternative such as whole fat milk you cut back on calories while giving your body the quality protein that it will need to supplement the exercise you will be doing. Cocoa is the product of cocoa beans that are known to be rich in antioxidants such as polyphenols and dietary fiber to lower cholesterol along with theobromine to relax and other mineral that would be wise to pack with you on the journey to slim. Tochu tea amongst teas is a rich source of calcium, iron, and other minerals your body needs to stay healthy. It contains geniposidic acid said to help lower blood pressure. Due to the positive effect it has on the body lowering blood pressure, it is one of the most revered health foods today. There is no fat, calories, or caffeine in tochu tea making it absolutely safe to drink even dieting. In addition to helping you lower your blood pressure, tochu tea is said to also lower neutral fat such as triglycerides in your blood. This help to inhibit gross storage of fat in your body that you can look forward to seeing results in your diet. Soy milk is a nutritious drink that gives you isoflavone, saponin, lecithin, and calcium in soy that can be drunk even while dieting. Soy saponins is said to inhibit the synthesis and absorption of fat in your body helping to prevent the first stage of obesity. In addition to helping you keep from getting fat, it is said to be more filling than other drinks, which suggests that it may be just what you are looking for to prevent overeating. Soy isoflavones you get from drinking soy milk and other soy products works in the same way as the women hormone estrogen. A healthy diet containing soy isoflavone can help restore your hormone balance, act as a preventative measure against breast cancer, and to prevent osteoporosis. Low fat milk gives you the protein and calcium in milk minus the fat. By drinking milk with excess fat removed you can enjoy milk without worrying about whether or not it is going to make you fat. It is said that drinking low fat milk versus drinking milk that is not low fat when compared may result in increased muscle mass while reducing body fat. This helps boost your metabolism making it harder to get fat. Drinking low fat milk is said to help relieve hunger pains appeasing your appetite to help you last it out between and during meal serving at one the best preventative measures against overeating available. The low fat milk diet drinking milk before a meal may be what it takes to lose weight and keep your weight from rebounding back. Diet plan drinking low fat milk. How to do the water diet? That’s easy! This water diet plan unlike others doesn’t weight you down. All you need to do is drink 2 liters a day and the rest is cake. 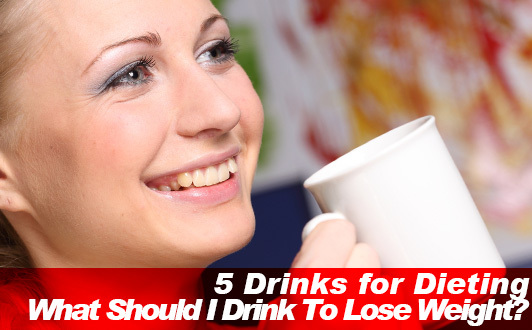 If you are worried that excess drinking will ruin your diet, then you need to read this. There is hope for you keeping your figure while still being able to drink. 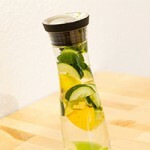 You may have heard that there is a diet, which can help you lose weight while drinking water. But how to lose weight with water? In this article we have compiled some pointers for you to keep in mind when thinking about dieting. Just make sure you don’t take things to the extreme.